Our main store now accepts International orders but if you would prefer to pay with your Amazon.com account, please follow the instructions at the bottom of the page to place your order. 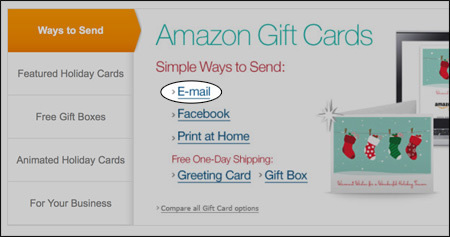 Amazon allows you to use any major credit card for the transaction. The items below are just examples of what you can order. You can also pay for any of the items you see in our main store. You receive 1 raffle ticket. Model receives 1,000 SMC Points. You receive 2 raffle tickets. Model receives 5,000 SMC Points. You receive 5 raffle tickets. Model receives 20,000 SMC Points. You receive 25 raffle tickets. 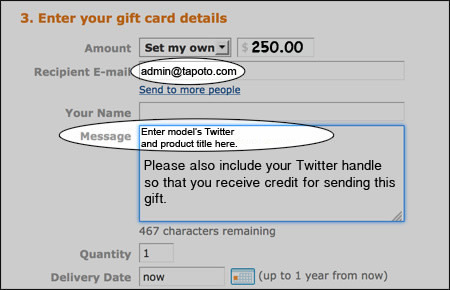 Model receives $100 Amazon.com E-Gift Card & 100,000 SMC Points. Most orders usually process within an hour. Please allow up to 24 hours for orders to be fulfilled. Please include your E-Mail address next to your Twitter handle if you would like to receive online receipt.